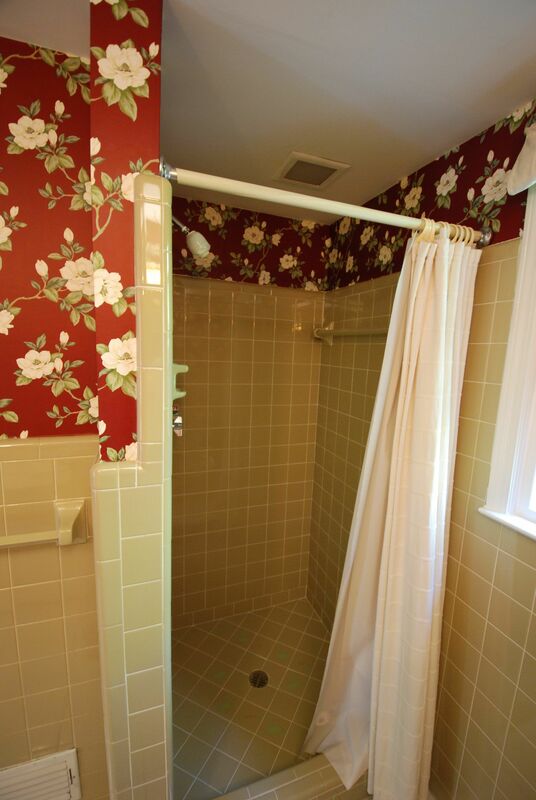 Wall paper and avocado tile wainscot were clear indicators that it was time to update this bathroom. To make the space look bigger and improve accessibility we used a curbless shower pan. The hand held shower allows someone to shower while seated or make pet washing less of a chore. 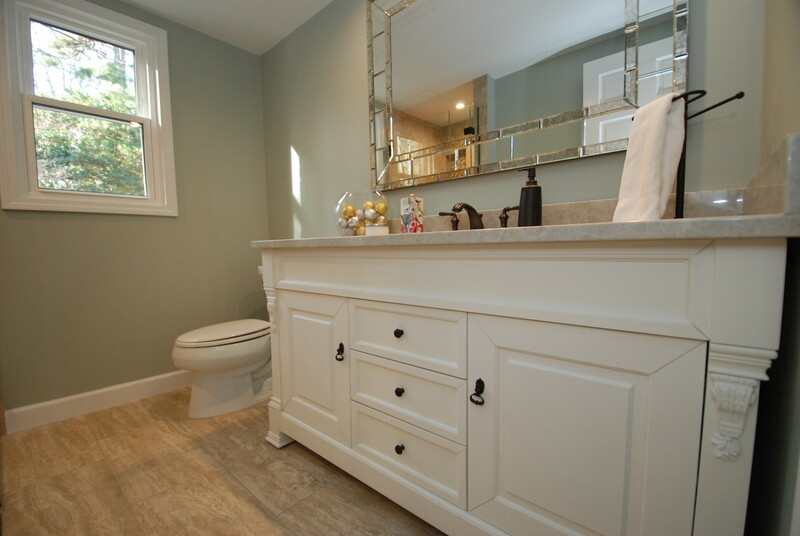 The finished bathroom in a combination of warm tones and cool colors. 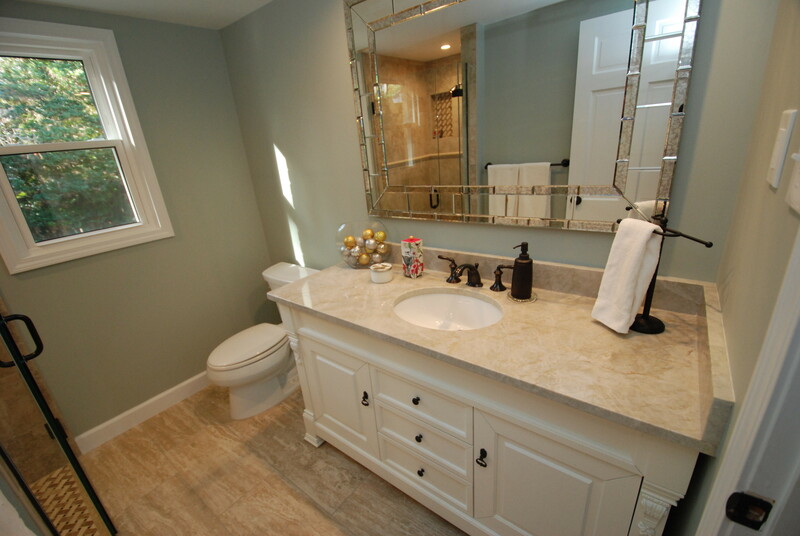 The new vanity, tile, and updated fixtures and mirror that has a refreshing feel. The new shower has a frameless door. To make it more accessible, the curb was eliminated with a curbless shower entrance. The old wing wall on the shower was removed and replaced with glass that shows off more the the tile work. In place of a fixed shower head, the shower head is on a sliding bar which allows it to be moved up and down accommodating bathers of all statures. The original bathroom with tell tale signs that it’s time for updating. 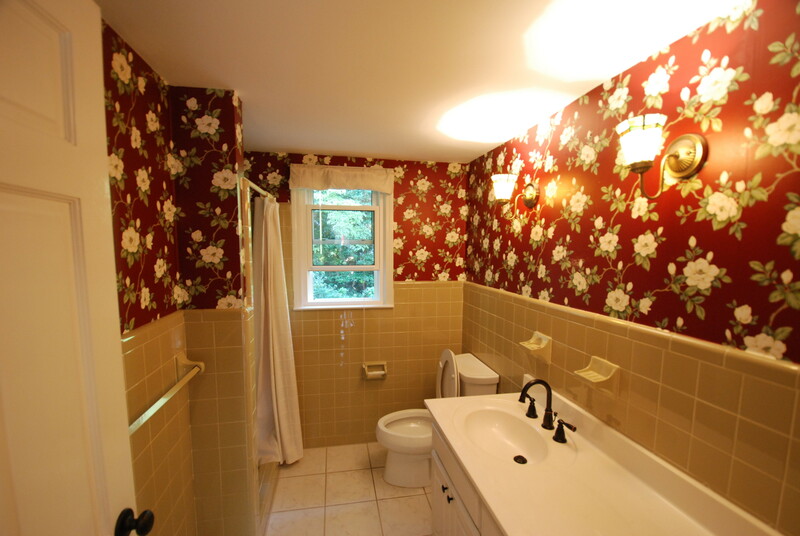 The avocado tile on the walls and floral wallpaper break the room up and are overpowering for a smaller bathroom. 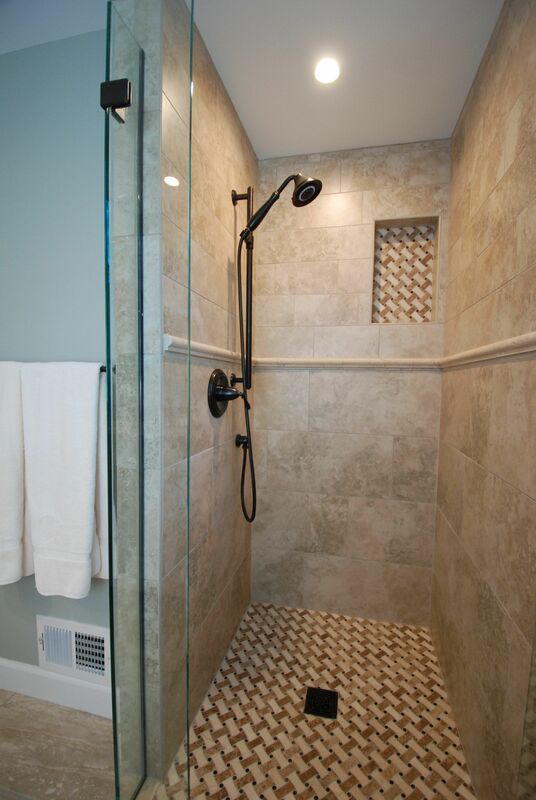 More avocado tile and the curb and wing wall on the shower divide the space making the room appear smaller.